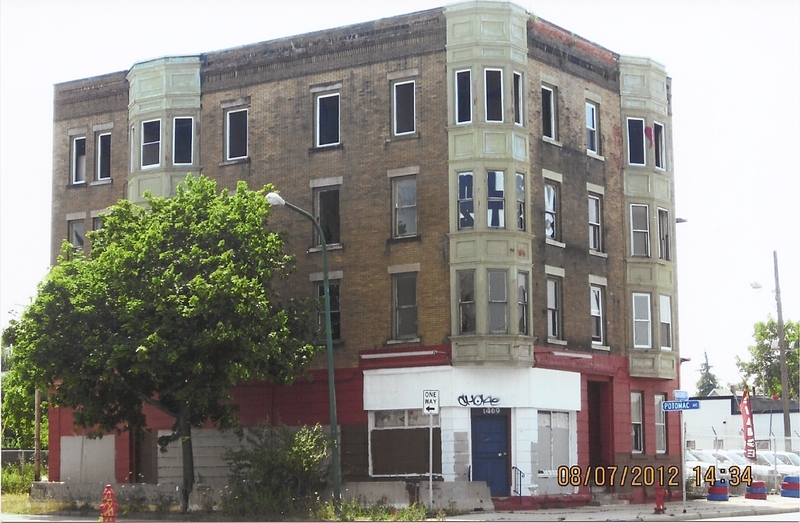 It happened in 2012, six years after I first heard the plea of a desperate-looking empty apartment building located on the West Side of Buffalo New York. With no previous experience doing historical research, I knew it was going to be a “learn as you go” experience, but I couldn’t wait to get started! I knew I needed to form a small research team of like-minded, “wannabe” researchers who loved the challenge of learning new skills, and I selected two special friends who were both enthusiastic about my project. We became a close team of three, determined to find out about the meaning of building #1469’s plea. It took six years to begin this adventure, going back in time to 1900 and then slowly moving toward 2015. Before I could officially start work on this particular project though, I had to complete my second nonfiction job search book while working full time, as it was already in the works. Luckily, I was able to have two sabbaticals to work on that book, which was completed in 2012. I prepared for this new research project by reading, reviewing, and then re-reading historical research books, in preparation for an adventure into the past. My other researchers, Pat and Janet, were willing to take a small hourly wage and to be paid twenty hours of work at a time. We mainly researched together bi-weekly and on our own. Stepping into the unknown was incredibly exciting! Previous PostPrevious Welcome to The Novice Novelist Blog! Next PostNext Stepping Back into the 1900’s!